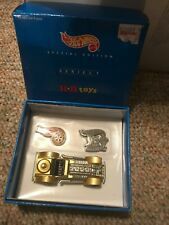 KB Toys Hot Wheels Special Edition Series 1 (USA) Gold/Silver Hot Rod 1:60 NIB This is brand new in original box. Please see photos as they are part of the description. The outer box has minor signs of wear on the corners from age and storage. Thank you for looking. NEW Hot Wheels 2019 RLC Red Line Club Exclusive Urban Outlaw Porsche 964 with Magnus Walker figurine CONFIRMED IN-HAND and is now SOLD OUT through the RLC Red Line Club website. Number on the box is 1,581 out of 10,000. The first 5 pictures are of the actual car that you will receive. I have cut one seal on the first box to remove the car in order to take pictures of the number sticker but have not cut any seals on the box that holds the car in display case or removed any tissue paper that protects the display case. Car is brand new in the package and the packaging and boxes are in good shape. Please review all pictures carefully before purchasing I will package it carefully to ensure that you receive the car in the same condition that I received it in. Thanks for looking! Model : KIA SOUL. COLORS AVAILABLE:Soul Cream, Blue Grey, or Red. Special features : Doors can be opened and pull back action. Scale : 1:38. You are purchasing the following collectible car: 1974 Hot Wheels Redline Larrys 24HR tow Redline White. Buy 4 Or More Hot Wheels Get 15% OFF Each. Buy 3 Hot Wheels Get 10% OFF Each. Buy 2 Hot Wheels Get 5% OFF Each. Peace Decal Dream Car, Green Kinsmart 4102. MPN: 4102/2D, Manufactured by Kinsmart. This Peace Decal Dream Car is a scale diecast model replica. Diecast Model Toy Car. Keep in mind that, Is a Used toy, and. HotWheels 2001 Exclusive Mini Cooper, Metallic Silver Paint Collector Hard Case Vehicule is excellent condition. It is an excluvise collection from Mattel Hotwheels, with individually marked number. It does not look that it was ever played with. Comes in a collector plastic case. The case shows shelf wear due to storage. You are purchasing the following car: 1977 Hot Wheels Custom Thunder Bird Odd Neons Malaysia. You are purchasing the following car: 1973 Hot Wheels Custom El Ray Green Yellow Red Hong Kong. Joy City 1:12 DIECAST Suzuki GSX-R 1000. Suzuki GSX-R 1000. You are purchasing the following car: 1979 Hot Wheels Green Malaysia. You are purchasing the following car: 1977 Hot Wheels Piranha Pickup Purple Orange Malaysia. Lot Of 41 cars as shown. Vintage Variety Of Hot Wheels Matchbox Maisto Or Other TYPE or maker of Small toy collectible Cars. Condition is used in a variety of conditions. Please inspect and enlarge all photos as they are an important part of the description. We don’t know much about these miniature cars so you decide what they’re worth. San Diego Padres Baseball Game Promo 2010 Hot Wheels "The Demon Redlines"
San Diego Padres Baseball Game Promo 2010 Hot Wheels "The Demon Redlines" As you xan sew this is Not a mint package at all. You are pretty much just picking up the car at this price the car is mint inside the package. You are purchasing the following car: 1979 Hot Wheels Custom Yellow Hong Kong. Very nice Pin Hedz Hotwheels car new in plastic. Loading, unloading and hauling the 6 classic die-cast race cars within this transport truck gets imaginations moving. Playing with toy trucks and race cars as a kid is a must! No childhood is complete without a collection of toy vehicles! The Auto Hauler 6 Car Truck Carrier is brightly detailed with super speed racing flames on the side of the cab. From the side you can see all the awesome fiery of the race cars that are contained in each of their respectable slots. Additionally, the semi truck's car carrier comes with a hidden handle, so kids will be able to cart around their favorite cars to and from play dates. NISSAN SUPER SET 2018 HOT WHEELS Skyline R30,32,33 Fairlady Z. Condition is New. Shipped with USPS First Class Package. Good Condition. Have Fun Buying! Hot Wheels Purple Passion Optra Lexmark 1999 Promotion car. Has real riders. 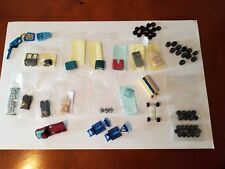 Hot Wheel Part #12362 & 3765----Collector No.269 & 146. They must be authorized in advance. Precision Cast and Painting. Real Rubber Wheels. You are purchasing the following car: 1979 Hot wheels White Magenta Malaysia. Model : KIA Optima K5. Color : Cream / Blue Grey / Red. 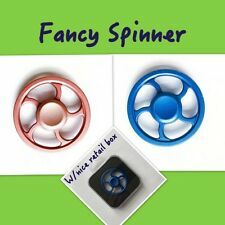 COLORS AVAILABLE: white, grey or Red. Scale: 1:34-1:39. It is cool as a gift to others .